One of my favorite parts about getting dressed every morning is accessorizing. Whether that’s with rings, bangles, headbands, or an understated necklace, accessories keep your wardrobe updated without having to actually spend money on new clothes! 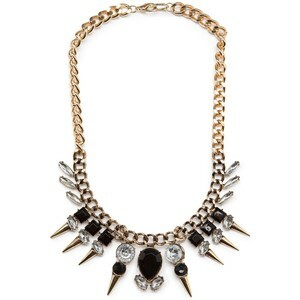 One of my favorite online sites that I just discovered is baublebar.com! I first heard about it after my blog crush Courtney Kerr (from Courtney Loves Dallas) collaborated with the online retailer to create a jewelry line. Her line features fabulous statement necklaces–but not the bubble necklaces trend that’s finally going out of style (thank god–why was this ever a thing?) Her jewelry is unique and sassy and absolutely perfect and affordable for dressing any outfit up. What I love about the website is that every week they feature $10 and $20 dollar deals on jewelry pieces that don’t break the bank. If personalized jewelry is your thing, they’ve got you covered there too! Go check em’ out! Sales! It’s that time of year again when retailers gear up for holiday shopping. What’s different about this year is that retailers are having black friday deals early to entice customers to shop all month long, and not just Black Friday–or Black Thursday as it should be called from now on. Many department stores like Target, Walmart, Macy’s and Kohl’s will open up between 6-8pm. So you can walk off that food coma in the department store aisles. If you’re feeling really ambitious, you should head out to Old Navy; they open at 9am on Thanksgiving day! 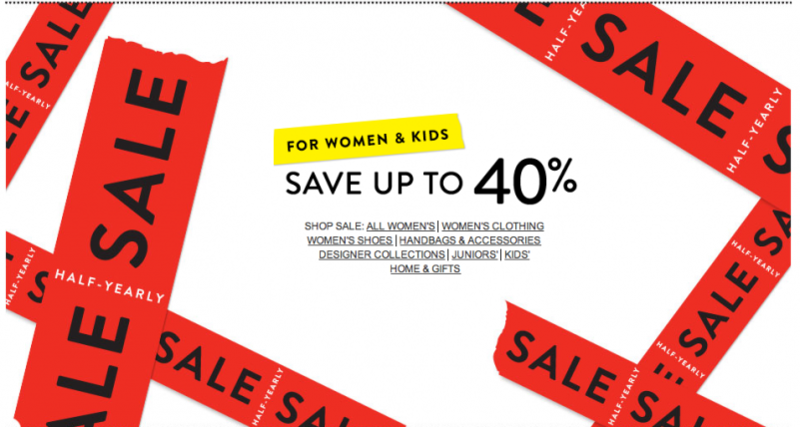 However, if you’re like me and don’t want to bother with all of the crowds but still want all of your favorite designer clothes, shoes, and accessories on sale (yes I said on sale) then you need to check out Nordstrom’s Women and children’s half yearly sale! Designers like Kate Spade, Marc Jacobs, Vince Camuto, Tory Burch, Trina Turk, and Burberry have select items up to 40% off. If shoes, and and handbags are your thing, then this is the sale for you! Sam Edelman, Dolce Vita, Coach, Diane von Furstenburg, and everyone’s favorite Frye boots are some of the featured designer shoe and handbags with discounts. My favorite part of the sale? The jewelry of course! I snagged this gold letterpress Marc by Marc Jacobs necklace, and House of Harlow sunburst necklace–both 50% off regular price! The half yearly sale is constantly changing so be sure to check back to see what else has been added! 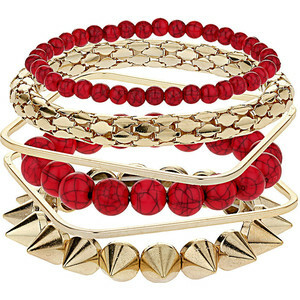 I love this new trend of spiked bracelets, necklaces, earrings, you name it! It’s all over the runway as well as the celebrities. I have recently even bought a few pieces myself. Edgy, but still beautiful and artistic; I think it’s a look that’s sure to be around for a while! 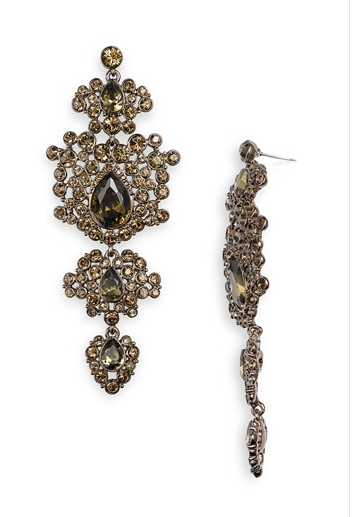 With holiday parties around the corner, what’s more important than the perfect pair of chandelier earrings?! These Givenchy ‘Terra’ Large Tiered Chandelier Earrings are the perfect addition to any party wear, be it Thanksgiving dinner or a holiday themed cocktail party. Nordstrom, $135, also available in clear crystal. This holiday, add some Frost to your J.Crew cashmere with the Lulu Frost for J.Crew jewelry collaboration, set to debut for Holiday 2010, reports Daily Front Row. The idea of a collaboration came about when J.Crew President Jenna Lyons purchased a Lulu Frost necklace and thought it would be perfect for the iconic American brand; J.Crew Women’s Design Director Marissa Webb agreed and visited the Lulu Frost studio with her team. They searched through Frost designer Lisa Salzer’s archives, mixing their vintage findings with modern elements for the line. The line uses handmade chains, antiqued glass crystals, and touches of 1o-carat gold for the unique bracelets, earrings, and necklaces. Prices range from $75 to $175 and will be available both in-store and online. 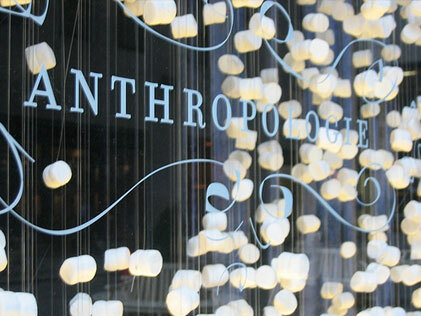 Style.com reported that the boho-chic store Anthropologie, owned by Urban Outfitters Inc., will be opening three new concept stores within the year. The first of the three stores to open is an all-accessories boutique that will feature vintage handbags and jewelry, footwear, and engagement rings in Chevy Chase, MD, about 20 minutes from Washington, D.C on Oct 29. Manhattan will be home of the second store the label will be opening later this year, called Leifsdottir, a Finnish company specializing in “modern, feminine, and effortlessly sophisticated designs,” according to the company’s website. The third concept store opened by Anthropolgie will be a bridal boutique geared toward the bohemian bride, and is set to open “somewhere like Texas, Nashville, or Chicago,” Style.com says.